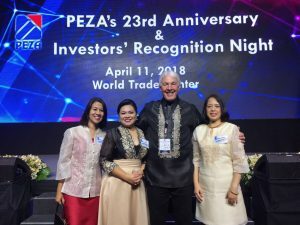 The award was presented to Rick Dols (REPH SVP and Managing Director) by Charito Plaza (Director General, PEZA) and Francis Tolentino (Political Adviser of President Duterte) during PEZA’s annual Investors’ Recognition Night banquet at the Manila World Trade Center. 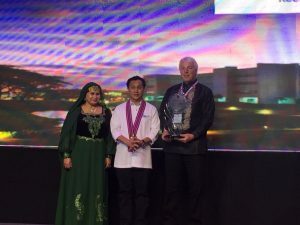 Rick was accompanied at the banquet by Rashelle Cejo (Human Resources Director) and Melissa Manlapig (Business Management and Finance Director), both from REPH, as well as Gaythri Raman (Managing Director of LexisNexis Malaysia). PEZA is the Philippine government agency associated with the Department of Trade and Industry. REPH is registered under PEZA for both its Manila and Iloilo-based sites. This is REPH’s first year participating in the award selection process for this category. Reed Elsevier Philippines is committed to upholding its value proposition of Valuing What Matters – RELX customers, business unit partners and our employees.